A popular spice in Middle Eastern, Mexican, Indian, and African cuisine, cumin is rich in iron, an important mineral for immune health. 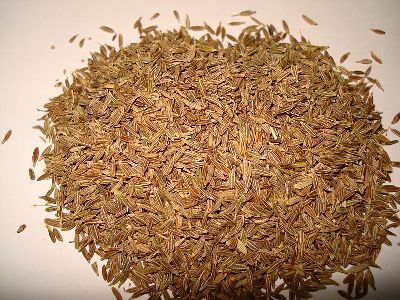 Cumin has also been used traditionally to calm upset stomachs and improve digestion. Preliminary scientific evidence suggests that its traditional reputation may be justified, though more research is required to prove anything conclusively. Animal studies indicate that cumin may have anti-carcinogenic properties as a result of its antioxidant content and ability to enhance detoxification enzymes in the liver, protecting against the formation of liver and stomach tumours. While animal studies aren’t always generalizable to humans, the results are promising. Cumin is usually added to chili. It is also good with rice, potatoes, or lentils; in spicy soups and sauces; and in dishes featuring pork, lamb, or eggplant, as well as added to certain breads and cheeses. It is often used in hot dishes along with chili peppers or chili powder.